Learn how to set up items and use them. 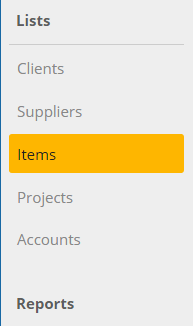 Items are used to quickly enter income and expenses. All you need to do is fill out the fields, with your information. This is an example of an item that is both sold and purchased. So when setting the item up, we chose both an Income Account and an Expense Account. 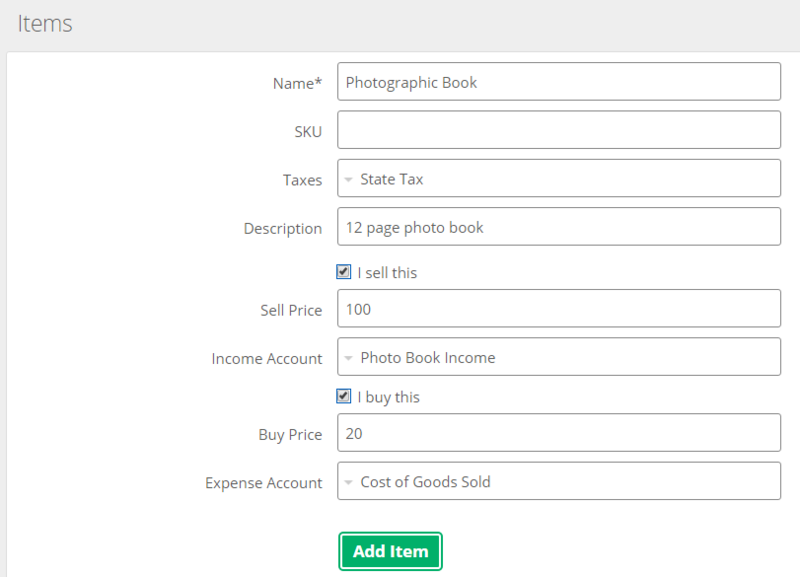 The SKU, Taxes, Description, Sell Price, and Buy Price fields are optional. To use an item when entering income or expenses, all you need to do is choose it from the Income Account or Expense Account dropdown box. 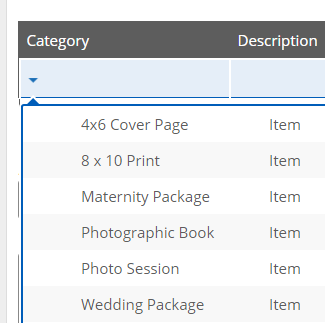 The Photographic Book item we set up, it can either be used in an income or expense transaction, since we selected that we both sell this and buy this. To learn how to report on items, please see the article Report of Items Sold.